Bats can be found in most places around Ireland. We’ve seen bats flying around parks and gardens in cities, in woodlands, over rivers and high up on mountains. 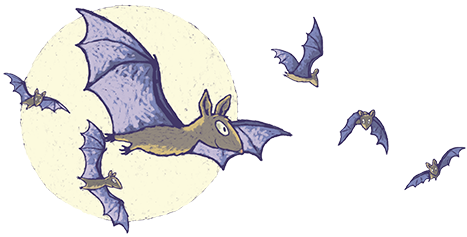 Come and Join us on a Bat Walk! If you would like to see bats flying at night go to a place with lots of insects. Bats start to come out just after sunset. 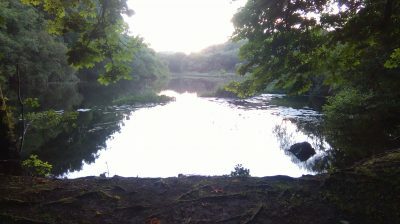 Rivers, lakes and ponds often have lots of insects so you may see bats flying there. 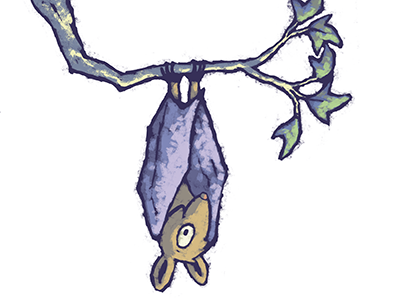 Bats also like trees and hedgerows so you could see bats flying around in a wooded park. Coming on a bat walk is a great way to see bats in real life. Coming on a bat walk is a great way to see bats! During the day bats sleep in roosts. In Ireland, bats often use buildings for roosting in the summer. 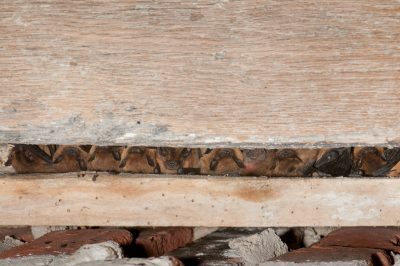 Bats sometimes roost in the attics of houses, in churches, in tiny gaps in stones under bridges, in holes in trees and in bat boxes. Bats usually pick roosts that get warm during the day and that are close to the places where they can catch insects. This means that they do not have to fly very far when they wake up in the evening to feed. Bats usually roost close to places where there are lots of insects to eat so they don’t have to fly far to eat their dinner! In winter sometimes bats like to use caves and cellars for hibernating. Some Irish bat species, like the soprano pipistrelle and common pipistrelle, are found all over the island of Ireland. Some species are only found in some parts of Ireland. The lesser horseshoe bat is only found in counties in Ireland along the west coast – Mayo, Galway, Clare, Limerick, Kerry and Cork. It is never found in the east. This bat needs lots of woodlands to fly in and old buildings to roost in. In some parts of Europe this bat has gone extinct. We do our best to protect the places where this bat is found in Ireland so that it will not become extinct here. River and woodland at Cong, County Mayo where lots of bat species including lesser horseshoe bats can be seen flying after sundown. Nathusius’ pipistrelle is a species that has come to Ireland quite recently, perhaps because the weather is slightly warmer than it used to be. So far, Nathusius’ pipistrelle has mainly been found in Northern Ireland. It likes living near to Ireland’s largest lake – Lough Neagh. There are lots of insects to feed on there. Now you know about where bats live in Ireland – can you answer the questions in this worksheet?